The unthinkable finally happened on December 4th in Italy. The Italian electorate actually struck down the important constitutional reforms on which Prime Minister Matteo Renzi had staked out his political future (and potentially that of the entire country). Italian banks and its sovereign credit are now squarely in the crosshairs of the ratings agencies, hedge funds, and international raiders. This has dramatic repercussions for the rest of the EU and Eurozone, in particular for France with its upcoming elections this next year. 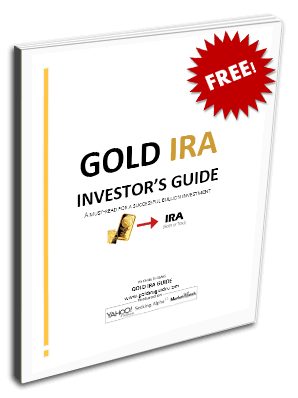 In the midst of this newest, latest crisis, Britain is somehow weathering the storm that Brexit sparked in Europe and the U.S. Gold remains your best option in these troubled geopolitical times. Italy's banks have just suffered yet another body blow to their prospects in the sweeping, swamping wake of the Italian referendum rejection. Recapitalizing the eight most troubled banks in the Italian banking system will be all the more difficult now that the referendum shepherded by Prime Minister Renzi has failed. After the much anticipated announcement from his office that he will resign from government, all eyes are turned to the ratings agencies to see if they will start announcing credit downgrades for the crucial Italian banks as early as this week. The banking sector of Italy continues to struggle under the burden of the poisonous debts held by 14 of its biggest banks. They are presently sitting on 286 billion euros ($302 billion) in bad debt, securities, loans, and off balance sheet items. Investors had agreed with banks, insurers, and asset managers to fund a bailout of the weaker Italian lenders. Analysts now suggest that the investors will pull out from their commitments as a result of the Italian voter earthquake. Hilltop Holdings Chief Strategist Mark Grant claimed that “Investors are now drawing back, they think the situation is too volatile both in Italy and in the European Union. It's going to be very difficult to do a raise of capital for Monte Paschi and the regional investment banks, and I think then what happens is Italy is going to be at loggerheads with the European Union and European Central Bank.” The EU and ECB guidelines stipulate that bondholders and shareholders must potentially undergo total losses. It does not help the situation that many of these investors are Italian citizens. The Euro has touched a 20 month low versus the dollar reaching as low as $1.0503 following the results of this troubling referendum. Italian Prime Minister Matteo Renzi's political fall this weekend is not just a harbinger of trouble to come for Italy and her failing banks. It is a warning bell tolling for the entire political and economic future in Europe in general. Populist parties continue to rack up gains in the major economies of Germany, France, and the Netherlands. The high stakes referendum failure is now putting the entire Euro Zone and by extension the larger European Union at risk. More significant even than Italy's monumental problems is the future of the Euro Zone and the EU. This is especially the case following the shocking dual outcomes of the U.K. end of June Brexit referendum and the U.S. November Presidential election. The loss of Matteo Renzi's center left Democratic Party means that the only mainstream party in the Italian political system to support the continued use of the Euro and the European Union is now irreparably tarnished. The majority of the other top five parties with the greatest popular support in Italy all heavily criticize the political, economic, and trading block. Leading party 5 Star Movement anti-establishment group commands the greatest amount of support since it won the important mayoral elections in Turin and Rome and led the referendum “no” campaign. It has repeatedly claimed that it will renegotiate the nation's euro membership if and when it takes power in Italy. She later added that such success of populist movements could also stop the European Central Bank policymakers from their planned on tapering of the quantitative easing programs. This week the ECB will meet to discuss combining existing and additionally available policy tools to support the Eurozone block economies amidst the political chaos engulfing Italy and the whole region. This predicted outcome is already being anticipated as a “Draghi put” for stock markets across the continent and world. With Italy and potentially the whole of the world's largest economic and trading block the EU on the ropes this week, it is hard to imagine a silver lining in the mix. Britain is surprising analysts everywhere by providing the proverbial European ray of economic sunshine these days. The situation is so much better than hoped for that Morgan Stanley has even become somewhat optimistic on the U.K. economy in 2017 for the first time. This assessment stands in spite of the fact that the nation is in the slow and painful process of divorcing the EU in what is expected to last for at least two years of long, hard-fought, and complex negotiations. They do expect the U.K.'s torrid pace of growth to slow from two percent to only one percent for the full year 2017 however. This of course will only lead to more Bank of England fiscal support as a result, per Morgan Stanley's latest assessment. “Economic performance will be dominated by the exit negotiations. These will therefore also be potential triggers for fiscal stimulus.” All of this remains supportive for gold retirement holdings and prices going forward. Where this world economy is concerned, keep your enemies close and your gold closer.